Or does this drink bear a striking resemblance to Julius Caesar? All hail the Proseco, Mayfair Farms Nectarine and Thyme cocktail from newly revamped restaurant Caché (formerly Hidden)! 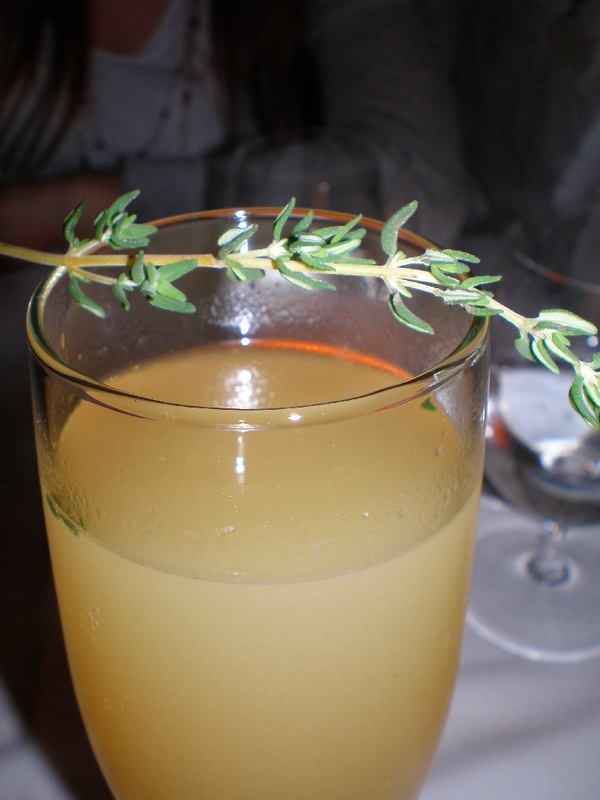 No, seriously, you should "hail" this herb-infused drink, as it's truly unique and delish. Not too sweet, as you might worry. R. and I truly enjoyed it! But, wait, I have to pause. Unfortunately, I can't write another sentence in this post without acknowledging the elephant in the room: Caché. We all like it, some of us have it, some of us will endure anything from lip injections to starving to get it, but was it really necessary to name an eatery after it? I think that "Caché" might be an unacceptable name in any city, but in Hollywood–a town where caché is constantly perverting everyone's minds, the name seems quite "on the nose." But, okay, point made and maybe taken, so I can move on. The restaurant only just opened in this incarnation a month or so ago and it uniquely offers both fine dining (beach city-style, so not too stuffy) and a bar/lounge menu, which is great. **Speaking of lounges, I have to lodge an official complaint against techno in restaurants. I don't need like classical or anything snooze-inducing like that, but seriously–who wants to listen to some bad electronica, while they try to relax with a cocktail? I feel like it screams "trying to be hip." Anyway, that's just a general pronouncement. 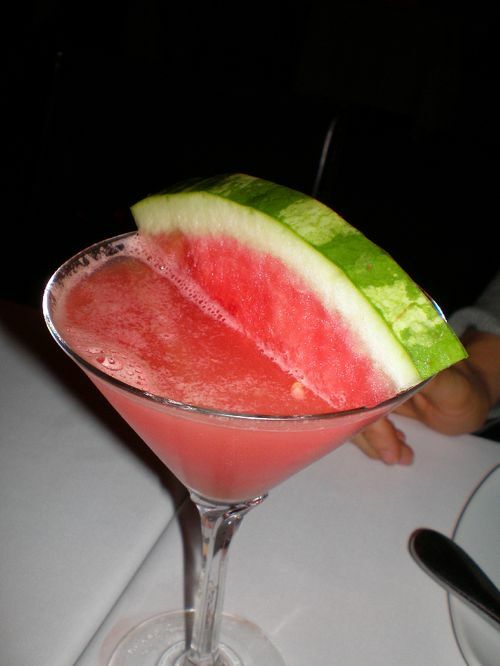 The Georgie Grey Goose Vodka cocktail with Watermelon and Japanese Cucumber is also definitely worth an order, as it's refreshing and very summery. 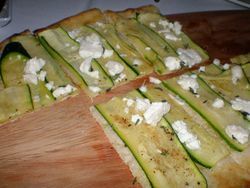 Flatbreads are their "thang" and I can personally vouch for the Zucchini with Feta, Thyme and Lemon Zest. Seriously, what is better than lemon zest?? It even sounds good just to say it. 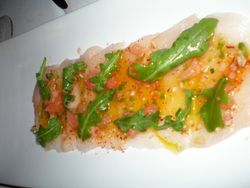 The Hamachi with Wild Arugula, Pink Grapefruit, Red Onion and Extra Virgin Olive Oil is light and summery too. Oh, I thought of something better than lemon zest: olive oil! Meanwhile, the Alaskan Halibut with Bacon, Artichoke-Tomato Broth was pretty tasty too, although I was pretty full by then . . . it sounds good now though. All hail halibut! Et tu, Brute?? ?